» Faculty of Medicine » Home » The online Global Health Course Platform has been launched! 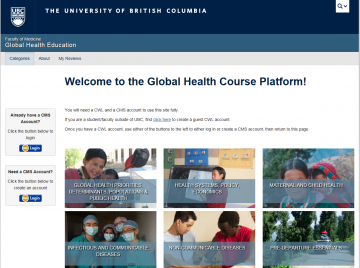 The online Global Health Course Platform has been launched! Have you ever tried to take an online global health course but were unsure whether the course would contain useful content delivered in an efficient and engaging way? 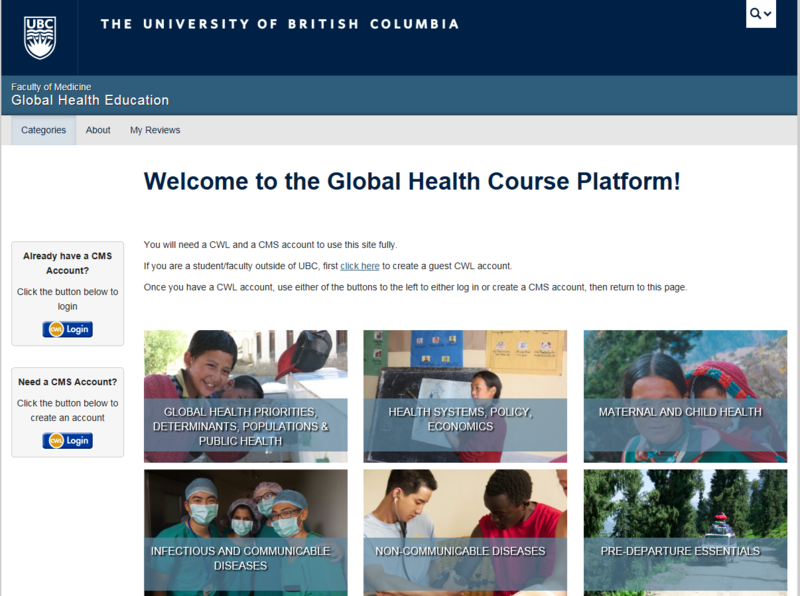 The newly launched UBC online Global Health Course Platform could be somewhere to start your global health learning journey. Many online courses exist and instead of reinventing new courses, we decided to review existing courses and categorize them to facilitate both learners and educators wishing to include global health content in their curricula. All of these are conveniently accessible at elearning.globalhealth.med.ubc.ca and they are FREE! Many faculty and students have been involved in the creation of this online resource and we always welcome feedback. This online global health resource has been created to provide a flexible foundational resource for students and faculty to more effectively engage in further study, research, or service in a global health context. The courses presented on this platform can be used to support individual learning or curricular global health activities. Learners can choose the order, timing and duration of their learning. This resource is composed of a curated collection of freely accessible courses and learning modules already in existence from selected institutions and organizations. These materials have all been peer-reviewed by our team of faculty and students, a process which is ongoing to ensure that the collection is relevant and current. Suggestions for new courses to add to this resource are welcome and if you are creating a new course, we would love to host it on our site. We gratefully acknowledge the financial support for this project provided by UBC Students via the Teaching and Learning Enhancement Fund. The goal of the Division of Global Health is for students, residents and faculty to gain an understanding of global health challenges and a multicultural perspective on health and healthcare.